​MARINETTE COUNTY TRIAL REPORT FEBRUARY 26, 2019TRAILS ARE OPEN! CLUBS ARE GROOMING! TRAILS ARE IN EXCELLENT CONDITION! BEST RIDING WE'VE HAD IN YEARS! RANGER CITY RIDERS: (snowmobile only) - Our trails are in excellent condition but use common sense and stay on groomed trails as snow is deep! Our groomer operators will be out throughout the week grooming. There’s a lot to keep up with including an additional storm scheduled for mid week. Please ride with caution as there may is lots of drifting, branches and/or deep snow until we get to everything also use caution when crossing intersections as banks are high and maybe partly closed if plows go through after we have groomed. We will continue to update if there’s areas we recommend to avoid due to hazards as our operators report in. Remember RCR clubhouse parking lot is a designated park and ride. As always please enjoy and ride safe. PLEASE NOTE LOGGING OPERATIONS: Our north end of the East Trail between Marek Road and Forest Road 404 is currently being logged. The trail does have snow cover and is in good riding conditions through the small section of logging. NEAR NORTH TRAIL RIDERS OF ATHELSTANE: (snowmobile and atv/utv): Here we go again! More snow forecast for tonight. We have not had a winter like this in many years. We now have the two groomers up and running and the trails are now being groomed on a regular basis. Trails were groomed this past weekend and will be groomed again after this next round of snow. Trail conditions are very good. And as usual ATV's and UTV's are allowed on sections of the trails. Riders should be aware of the signs. DUN-GOOD RIDERS: (snowmobile and atv/utv): Don't step off the trail.....snow is DEEP! Trail Report: All trails are in excellent condition, being groomed daily! Caution areas: there are numerous wet spots. Also a lot of branches & tree limbs down due to high winds & heavy snow, but that should all be cleaned up with grooming. But if you can, stop and toss the debris off the trail. Give our groomers a break! Your help is appreciated! Winter ATV/UTV use is allowed. 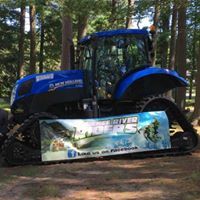 PEMENEE RIVER RIDERS: (snowmobile and atv/utv): Trails to the Dunbar junction and Niagara have been groomed and are in excellent condition. Trails to Amberg junction and Norway are in good condition and will be groomed this week. Watch for snow drifts and branches in the trails as it has still been pretty windy in our area. Open to winter ATV/UTV. KUMALONG SNO-RIDERS: (snowmobile only): All trails are open and in great /excellent condition. Grooming daily! Best snow & riding conditions in years! RIVER ROAD RIDERS (snowmobile only) All of River Road Riders trails are open & in very good condition. Best snow conditions in many years! Grooming operations are ongoing. There will be meat and seafood raffle to choose from. Everyone is invited you don’t have to be a snowmobiler. Come by Snowmobile, Car or any other way. Please pass on to your friends too!